John Taylor (PI) and Dean Lockett. THIS was the second running of this match which puts club champions head to head and it attracted a record turnout. 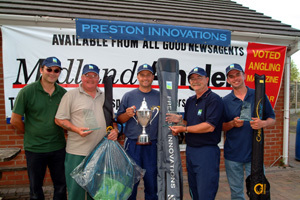 Backed by Preston Innovations, it was fished in two three-hour matches with the overall prize decided first on points and then on weight in the event of a tie. Despite a strong field, Eliot Johnson of Dawley AS defended the crown he won last year and gets to keep the impressive silver trophy for another 12 months. Eliot, who was recently approached by Team Colmic, was one of only two anglers to score a perfect two section wins, the first on Barley peg 11, where he weighed in 45-12-0 after a poor start, followed by a second on Front Deans peg 29, where he took 52-2-0 to the scales. 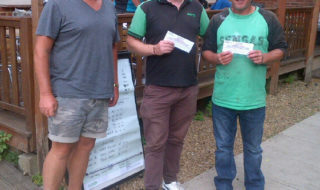 Eliot won a £1000 16m RS80 pole from the sponsors. 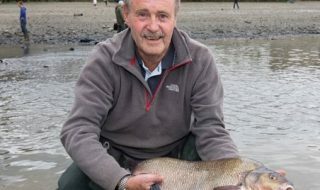 Eliot had been putting in plenty of practice at the venue over the last few months and fished red, flavoured meat over corn in both matches, fishing very heavy on Deans. Eliot with his catch from Front Deans. The Telford angler’s total of over 97lb was easily enough to see off the challenge of Derek Hopkins of Redditch club Needle AC. Derek drew Deans twice and nicked his sections by one fish in both the morning and afternoon matches, fishing meat and worm on the deck. He won a CarbonActive rod for his efforts. 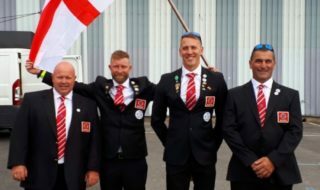 Four anglers scored three points including boxer Richie Woodhall, but it was Dean Lockett of Stoke-on-Trent club Hanley AC who took third prize with a 78-4-0 total over the two matches. Dean also won a CarbonActive rod. Result: 1 E Johnson, Dawley AS, 2pts, 97-14-0; 2 D Hopkins, Needles AC, 2pts, 42-10-0; 3 D Lockett, Hanley AS, 3pts, 78-4-0; 4 M Liwoshko, New Inn AC, 3pts, 65-9-0; 5 S Lane, Ratby AC, 3pts, 61-9-0; 6 R Woodhall, Avenue AC, 3pts, 54-10-0.